is the F12 easter-egg. Jeff Kizner demonstrated this feature during his Ignite session back in September. Tip: For a break down of Jeff’s session, with notes and timers, I highly recommend checking out 15 Ignite sessions every Exchange admin should see. If you press F12 this enables a new section called Diagnostic Tools. This section provides shortcuts to the following tools or folders. Open Exchange Management Shell opens a remote PowerShell session to your on-premises Exchange servers. Open Exchange Online PowerShell opens a PowerShell connection to Exchange Online. This supports MFA-enabled admin accounts. Create Support Package will combine your HCW log files into a single ZIP file which can easily be sent to Microsoft support. This link actually opens a second screen where you can specify to ZIP logs from the last 24 hours, or, between a certain date range. You then have the option to copy the file to the clipboard so it can be easily attached to an email. Open Logging Folder opens the folder location of the HCW logs. Open Process Folder opens a Command Prompt to the HCW process directory. Pressing F12 a second time will hide these tools. Last year I was invited to write an Exchange 2016 book with a few fellow MVPs. Unfortunately, due to unforeseen circumstances, the book was later cancelled. Rather than have my chapters go to waste (combined these chapters are 40,000 words) I wanted to offer them to you for free. Below you will find three chapters covering the management of mailboxes, groups, contacts, mail-enabled users, and public folders. That said I do want to warn you that these chapters only received a brief technical review. They did not go through any formal editorial process, so I apologize in advance for any errors. Please read these at your own risk. While I offer these for free I would like to state that my work is under copyright. By viewing or downloading these chapters you agree to the copyright notice below. All rights reserved. No part of these chapters may be reproduced, distributed, or transmitted in any form or by any means, including photocopying, recording, or other electronic or mechanical methods, without the prior written permission of the publisher, except in the case of brief quotations embodied in critical reviews and certain other noncommercial uses permitted by copyright law. For permission requests, please email info@supertekboy.com. In prior releases of Windows Server, Microsoft shipped basic malware protection through its Windows Defender software. For full protection either System Center Endpoint Protection, or, a third-party antivirus solution was required. With Windows Server 2016, Windows Defender matured into a fully fledged antivirus solution. It has now been re-branded as Windows Defender Antivirus. Regardless of whether you choose Windows Defender Antivirus, or, a third-party antivirus solution you need to be sure these products are not scanning critical Exchange components. Microsoft publishes an extensive list of file, folder and, process exclusions to include in your antivirus configuration. There are eighty-four exclusions in total. Adding these exclusions are critical to the health and performance of Exchange. Without these exclusions, antivirus software could lock or quarantine files and processes critical to the operation of Exchange. In this article, we explore how to add the required 84 exclusions to Windows Defender Antivirus. We also have a basic script to automate adding these exclusions for you. Adding 84 exceptions manually through the graphical user interface would be time-consuming, tedious and, prone to human error. This only magnifies with the number of Exchange servers we need to deploy. Windows Defender can be managed through multiple methods (such as System Center or Group Policy). However, for this article, we will explore adding the required exclusions using PowerShell. To add an exclusion via PowerShell we can use the Add-MpPreference cmdlet. For a folder exclusion, we combine this with the -ExclusionPath parameter. For example, a folder exclusion may look like this. When a company has implemented Exchange hybrid and has moved some or all their users to Office 365, the question “How do I create a mailbox in Office 365?” frequently comes up. In this article, we explore how to create a mailbox in Exchange Online when directory synchronization is in place. 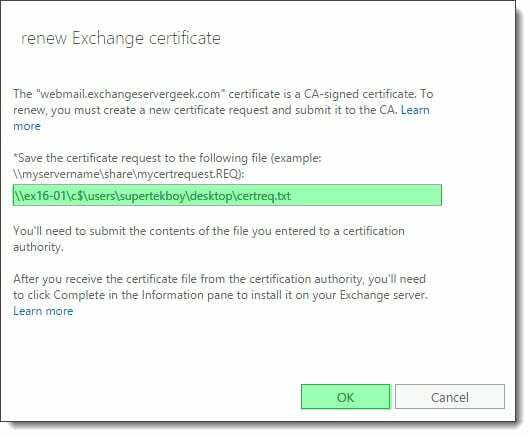 For this article, we will explore this process using Exchange 2016. We will look at how to complete this task with the GUI and PowerShell. Note that these steps are identical for Exchange 2013. This is the simplest and quickest way to create a mailbox in Office 365. The drawback to this solution is that it only allows you to create an entirely new Active Directory user. A preexisting user without a mailbox cannot be enabled for an Office 365 mailbox using the GUI. To grant an existing user an Office 365 mailbox you will need to use PowerShell. Alternatively, that user could be given an on-prem mailbox and then move that mailbox to Office 365. 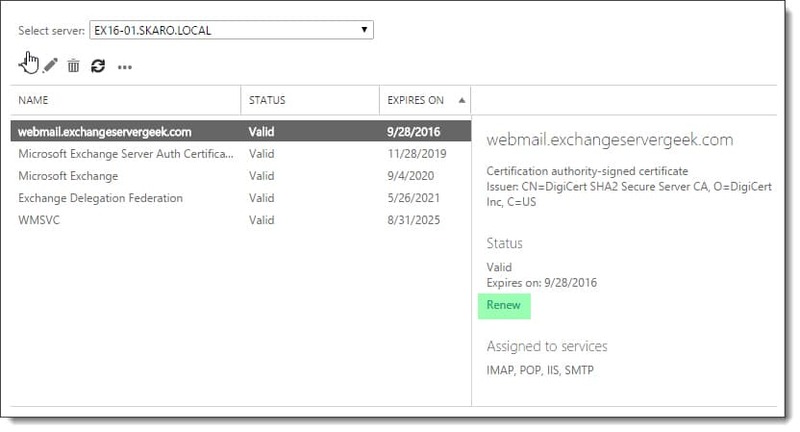 If your current process is to create a new account in Active Directory first and then enable the mailbox in Exchange second, I would recommend reversing these steps. Using the method below allows you to create a basic user in Active Directory with a mailbox in Office 365. Then you can go back into Active Directory to make any additional changes to the new account, such as group memberships. For our example, we are going to create a new user called Wilfred Mott who will have a mailbox in Office 365. Wilfred does not currently have a user account in Active Directory so we can use this method. Wilfred’s email will be wilfred.mott@exchangeservergeek.com. From your on-premises Exchange 2016 server, log into the Exchange Admin Center. Select the Recipients tab and Mailboxes sub tab. 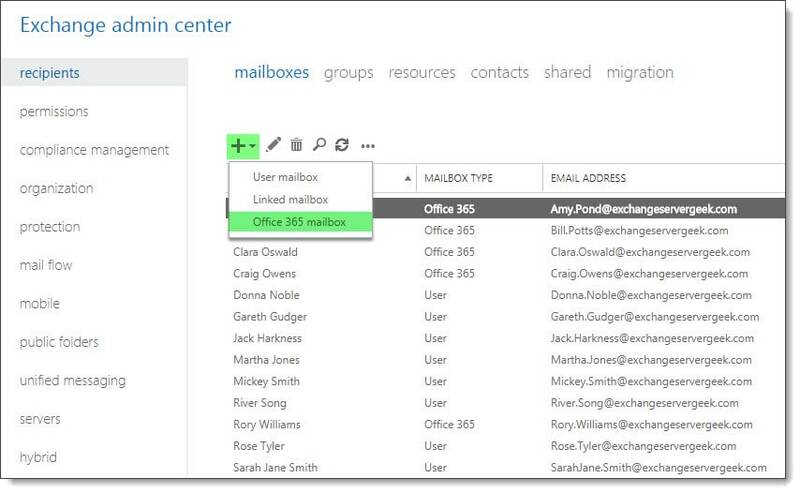 Click the New (plus sign) and select Office 365 mailbox. Note: If you do not see this option you may be missing the required RBAC permissions, or, there is an issue with your hybrid configuration. 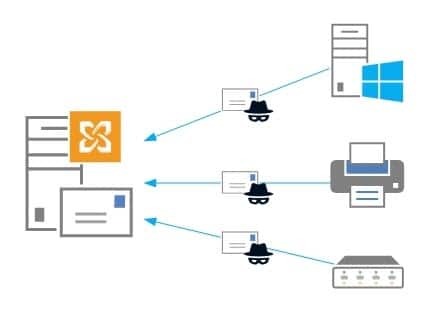 Being able to recover an Exchange Server is key to business continuity. This is magnified in environments where there is only a single Exchange server. Rebuilding an Exchange environment from scratch would be an arduous and monumental task. Luckily Exchange saves much of its configuration settings in Active Directory. As long as Active Directory is healthy you can recover an Exchange Server to its former configuration. This process saves a massive amount of time. That said there are some items that are not stored in Active Directory. This includes the databases where the user and public folder data is stored, third-party certificates and, customizations made outside of the Exchange management tools. Certificates are easy. If you don’t have a backup you can have your certificate re-keyed by your provider. 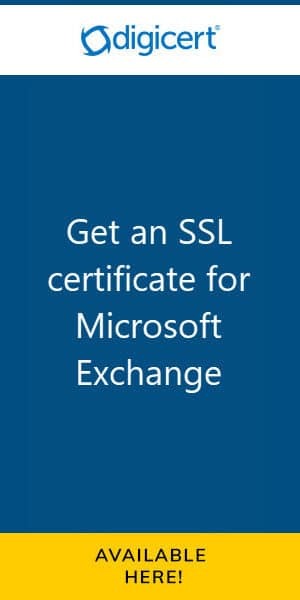 This may take some time so it is much better to export your Exchange server certificate and save it to a safe location. Then it can be quickly imported in the event of a failure. This will reduce downtime. Databases are a little more difficult. Depending on the nature of the failure they may need to be restored from backup. The time required for restore largely depends on the size of the database. With the Exchange standard license you get five databases. So, rather than one large database, go with five smaller ones. These greatly aides your recovery time objective (RTO). Exchange enterprise allows up to a hundred databases giving you even greater capacity. I always recommend that you architect a database availability group (DAG) where possible. Even if your budget can only cover two Exchange servers–creating a two-member DAG with two copies of each database–will put you miles ahead when it comes to disaster recovery. The instructions to recover a DAG member differ and we will cover that in a later article. In this article, we explore applying the Exchange product key. 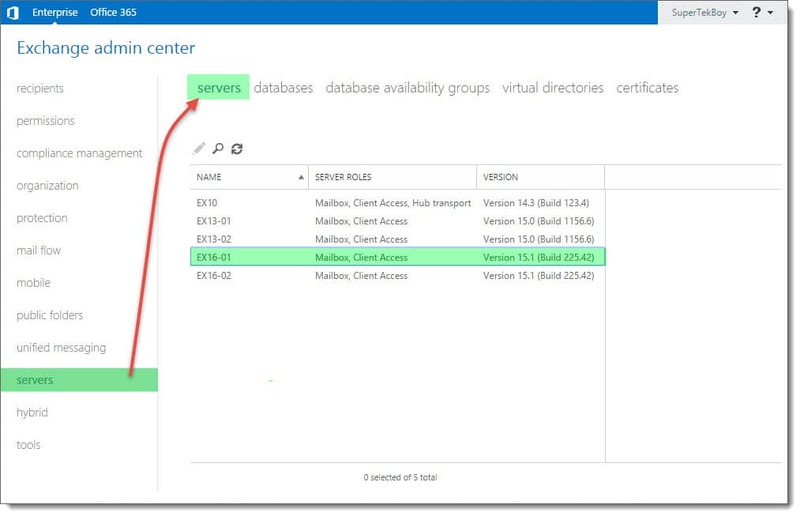 We will illustrate this process through both the Exchange Admin Center (EAC) and PowerShell. We will also look at how to license multiple servers at once and how to locate all unlicensed servers in your environment. This process is the same for both Exchange 2013 and 2016. 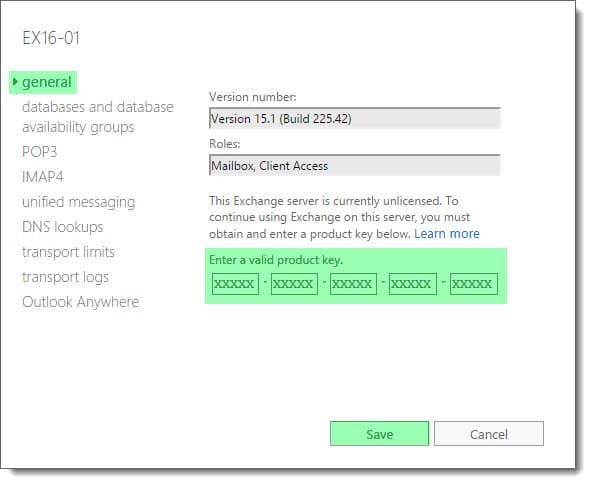 To apply the product key through the Exchange Admin Center follow these steps. 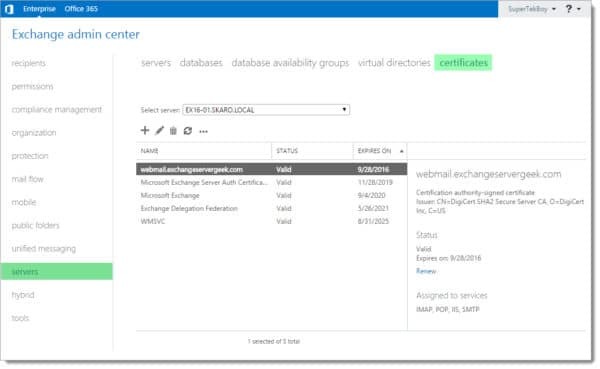 Log into the Exchange Admin Center (EAC). Navigate to the Servers tab and then the Servers sub-tab at the top. Select the server you wish to apply the key and click the Edit ( ) button. From the General tab enter your 25-character product key into the 5 boxes under Enter a valid product key section.